Contrary to popular belief, not all snoring is the same. In fact, there are several different types – and finding the best anti-snoring product for you may rely on identifying which one you’re actually suffering from! But figuring that out can be a bit of a challenge sometimes, which is why we’ve decided to write a blog post about it. There are actually several different ‘tests’ that you can do to determine which type of snoring you suffer from, and we’re going to explain how to figure it out on your own. To test for this type of snoring, try pressing on one of your nostrils to close it, and then inhale through the other. Try this for both nostrils. If one or both of them tend to collapse during the test, then try to use a small match-stick (or something similar) to ‘prop’ the nostril open while inhaling through it. 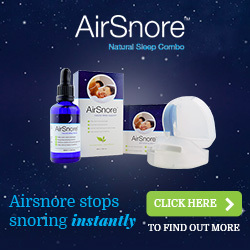 If this does the trick and eliminates the problem, then you’re probably what they call a ‘nasal snorer’. If this tends to be the type of snoring that you suffer from, then a nasal strip or a nasal dilator should do the trick to help you stop. Try to open your mouth and make a snoring noise. Now, close your mouth and attempt to re-create it. If you were able to make a snoring noise with your mouth open, but unable to do so with your mouth closed, then you are what they call a ‘mouth snorer’, or ‘mouth breather’. If this test correctly indicates that your snoring problem might be a mouth-snoring problem, then a product that will help you to keep your mouth closed while you sleep will probably do you the most good. To determine if you suffer from ‘tongue snoring’, you should stick your tongue out as far as you can, and then try to make a snoring noise. Now try it again, but don’t stick your tongue out. Did you find that it was easier to make a noise with your tongue still in your mouth than it was while it was sticking out? If so, then you might be suffering from tongue snoring. Devices that stabilize the tongue or move the jaw forward are usually the best fixes for this type of snoring. It actually tends to be one of the most common types, so there are a lot of products on the market designed for people who suffer from it. Mandibular advancement devices and tongue stabilization devices tend to be the most common and useful types of anti-snoring products for this type of snoring, so trying one of them first would probably be a good idea. Of course, there are a myriad of other types of products to choose from as well – and they will all work better with different types of snoring. For example, essential oil-type products will tend to work the best with mouth snorers or nasal snorers who are suffering from congestion. Stop-snoring chin straps will tend to work the best with mouth snorers, while singing and other types of throat-strengthening techniques may work equally well on both mouth and tongue snorers. Surgeries like laser surgery tend to focus more on mouth snoring than any other type of snoring, though they aren’t always a sure-bet. Stop-snoring devices that use EPAP technology (Expiratory Positive Airway Pressure) will tend to work best with tongue snoring, though they might also be able to play a role in mouth snoring as well. Regardless of which type you suffer from the most, the important thing is that you try to find a remedy that works for you. There are a ton of different stop-snoring devices out there on the market, so make sure to put some time into finding the one that works the best for your personal type of snoring.